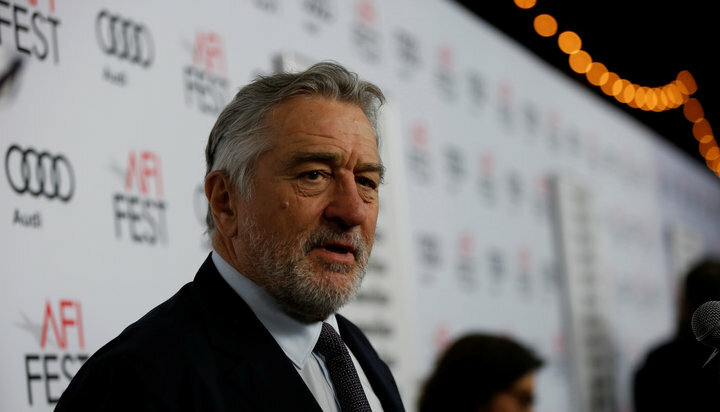 Screen legend Robert De Niro is taking on President Donald Trump once again, this time insulting the president’s intelligence and accusing him of bigotry. He also suggested that Trump’s days may be numbered. “He’s terrible, and a flat-out blatant racist and doubling down on that, and it’s good that he does because he’s going to sink himself,” De Niro said. De Niro, who is nominated for an Emmy for his portrayal of fraudster Bernie Madoff in HBO’s “King of Lies,” wants next month’s awards show to take on the president. Since the upcoming Emmy Awards will be hosted by Stephen Colbert, who has risen to the top of the ratings with his nightly Trump jokes on the “Late Show,” there’s a chance De Niro’s wish will come true. De Niro has been one of Hollywood’s harshest Trump critics, last year saying he’d like to punch him in the face.